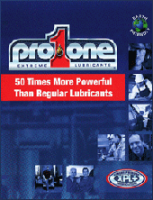 ProOne’s XPL+ (Xtreme Pressure Lubrication technology) is the core for ProOne’s line of high performance lubricants. XPL+ has a strong ionic (+) charge so it bonds to metal giving it extreme pressure performance and protection. XPL+ is vegetable-based, stable, non-corrosive, non-reportable and environmentally friendly! On a bench cross axis friction machine test, bearings are subjected to pressure from a spinning race. 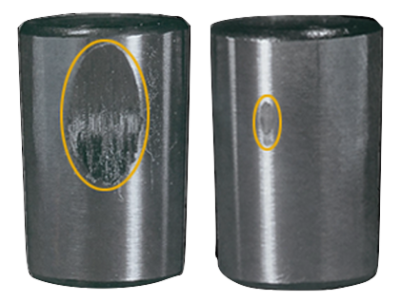 Using a leading downhole drilling fluid without XPL+, the bearing sustains severe damage at only 4,000 pounds per square inch of pressure. With ProOne’s exclusive XPL+technology, there is minimal damage at 200,000 per square inch of pressure… Over 50 times the pressure! See behaviour below.